***4 BRAND NEW TIRES!!***. 2014 Volkswagen Jetta 2.0L S 2.0L I4 SOHC 6-Speed Automatic 23/29 City/Highway MPG At Bill Jacobs VW we place a “high priority on the quality of vehicles” we offer for sale. All of our vehicles have passed a rigorous inspection process by our team of Top-Tier Certified Technicians. Bill Jacobs VW is a name you can trust! The Cars will bring you in...the EXPERIENCE will bring you back! Please call, or email to schedule a test drive today! ***LOCALLY OWNED!! **, ***MOONROOF!!***. 2012 Volkswagen Passat 2.5 SE 2.5L 5-Cylinder DOHC 6-Speed Automatic 22/31 City/Highway MPG Awards: * 2012 KBB.com 10 Most Comfortable Cars Under $30,000 * 2012 KBB.com 10 Best Sedans Under $25,000 * 2012 KBB.com 10 Best Family Cars At Bill Jacobs VW we place a “high priority on the quality of vehicles” we offer for sale. All of our vehicles have passed a rigorous inspection process by our team of Top-Tier Certified Technicians. Bill Jacobs VW is a name you can trust! The Cars will bring you in...the EXPERIENCE will bring you back! Please call, or email to schedule a test drive today! ***1 OWNER, LOCALLY OWNED, AND TRADED IN HERE AT BILL JACOBS VW!! ***, ***CONNECTIVITY PACKAGE!!***. 2014 Volkswagen Jetta 1.8T SE 1.8L I4 DOHC 6-Speed Automatic 25/36 City/Highway MPG At Bill Jacobs VW we place a “high priority on the quality of vehicles” we offer for sale. All of our vehicles have passed a rigorous inspection process by our team of Top-Tier Certified Technicians. Bill Jacobs VW is a name you can trust! The Cars will bring you in...the EXPERIENCE will bring you back! Please call, or email to schedule a test drive today! ***1 OWNER, LOCALLY OWNED, AND TRADED IN HERE AT BILL JACOBS VW!!***. 2010 Volkswagen Beetle 2.5L 2.5L 150 hp 6-Speed Automatic with Tiptronic 20/28 City/Highway MPG Odometer is 9166 miles below market average! At Bill Jacobs VW we place a “high priority on the quality of vehicles” we offer for sale. All of our vehicles have passed a rigorous inspection process by our team of Top-Tier Certified Technicians. Bill Jacobs VW is a name you can trust! The Cars will bring you in...the EXPERIENCE will bring you back! Please call, or email to schedule a test drive today! ***1 OWNER***, ABS brakes, Electronic Stability Control, Heated door mirrors, Illuminated entry, Low tire pressure warning, Remote keyless entry, Traction control. 2015 Volkswagen Jetta 2.0L S 2.0L I4 SOHC 5-Speed Manual 25/34 City/Highway MPG Odometer is 5870 miles below market average! At Bill Jacobs VW we place a “high priority on the quality of vehicles” we offer for sale. All of our vehicles have passed a rigorous inspection process by our team of Top-Tier Certified Technicians. Bill Jacobs VW is a name you can trust! The Cars will bring you in...the EXPERIENCE will bring you back! Please call, or email to schedule a test drive today! 2013 Volkswagen Jetta SportWagen 2.0L TDI 2.0L TDI Diesel Turbocharged 6-Speed Automatic DSG 29/39 City/Highway MPG Odometer is 4897 miles below market average! At Bill Jacobs VW we place a “high priority on the quality of vehicles” we offer for sale. All of our vehicles have passed a rigorous inspection process by our team of Top-Tier Certified Technicians. Bill Jacobs VW is a name you can trust! The Cars will bring you in...the EXPERIENCE will bring you back! Please call, or email to schedule a test drive today! 2012 Volkswagen GTI 2.0L I4 TSI DOHC 16V Turbocharged 6-Speed DSG Automatic with Tiptronic 24/33 City/Highway MPG Awards: * 2012 IIHS Top Safety Pick At Bill Jacobs VW we place a “high priority on the quality of vehicles” we offer for sale. All of our vehicles have passed a rigorous inspection process by our team of Top-Tier Certified Technicians. Bill Jacobs VW is a name you can trust! The Cars will bring you in...the EXPERIENCE will bring you back! Please call, or email to schedule a test drive today! Recent Arrival! 2016 Volkswagen Jetta 1.4T S I4 6-Speed Automatic with Tiptronic 28/39 City/Highway MPG At Bill Jacobs VW we place a “high priority on the quality of vehicles” we offer for sale. All of our vehicles have passed a rigorous inspection process by our team of Top-Tier Certified Technicians. Bill Jacobs VW is a name you can trust! The Cars will bring you in...the EXPERIENCE will bring you back! Please call, or email to schedule a test drive today! ***1 OWNER, LOCALLY OWNED, AND TRADED IN HERE AT BILL JACOBS VW!! ***, ABS brakes, Alloy wheels, Electronic Stability Control, Heated door mirrors, Heated front seats, Illuminated entry, Low tire pressure warning, Remote keyless entry, Traction control. 2015 Volkswagen Jetta 1.8T SE 1.8L I4 DOHC Turbocharged 6-Speed Automatic with Tiptronic 25/37 City/Highway MPG At Bill Jacobs VW we place a “high priority on the quality of vehicles” we offer for sale. All of our vehicles have passed a rigorous inspection process by our team of Top-Tier Certified Technicians. Bill Jacobs VW is a name you can trust! The Cars will bring you in...the EXPERIENCE will bring you back! Please call, or email to schedule a test drive today! ***1 OWNER***. 2016 Volkswagen Jetta 1.4T S I4 6-Speed Automatic with Tiptronic 28/39 City/Highway MPG Odometer is 4949 miles below market average! At Bill Jacobs VW we place a “high priority on the quality of vehicles” we offer for sale. All of our vehicles have passed a rigorous inspection process by our team of Top-Tier Certified Technicians. Bill Jacobs VW is a name you can trust! The Cars will bring you in...the EXPERIENCE will bring you back! Please call, or email to schedule a test drive today! Recent Arrival! ***1 OWNER, LOCALLY OWNED, AND TRADED IN HERE AT BILL JACOBS VW!!***. 2016 Volkswagen Jetta 1.4T S I4 6-Speed Automatic with Tiptronic 28/39 City/Highway MPG Odometer is 5196 miles below market average! At Bill Jacobs VW we place a “high priority on the quality of vehicles” we offer for sale. All of our vehicles have passed a rigorous inspection process by our team of Top-Tier Certified Technicians. Bill Jacobs VW is a name you can trust! The Cars will bring you in...the EXPERIENCE will bring you back! Please call, or email to schedule a test drive today! 2016 Volkswagen Jetta 1.4T S I4 6-Speed Automatic with Tiptronic 28/39 City/Highway MPG Odometer is 882 miles below market average! At Bill Jacobs VW we place a “high priority on the quality of vehicles” we offer for sale. All of our vehicles have passed a rigorous inspection process by our team of Top-Tier Certified Technicians. Bill Jacobs VW is a name you can trust! The Cars will bring you in...the EXPERIENCE will bring you back! Please call, or email to schedule a test drive today! 2016 Volkswagen Jetta 1.4T S I4 6-Speed Automatic with Tiptronic 28/39 City/Highway MPG Odometer is 5572 miles below market average! At Bill Jacobs VW we place a “high priority on the quality of vehicles” we offer for sale. All of our vehicles have passed a rigorous inspection process by our team of Top-Tier Certified Technicians. Bill Jacobs VW is a name you can trust! The Cars will bring you in...the EXPERIENCE will bring you back! Please call, or email to schedule a test drive today! ***1 OWNER! LOCALLY OWNED! ***, ABS brakes, Alloy wheels, Electronic Stability Control, Heated door mirrors, Illuminated entry, Low tire pressure warning, Remote keyless entry, Traction control. 2014 Volkswagen Tiguan S 2.0L TSI 6-Speed Automatic with Tiptronic 21/26 City/Highway MPG At Bill Jacobs VW we place a “high priority on the quality of vehicles” we offer for sale. All of our vehicles have passed a rigorous inspection process by our team of Top-Tier Certified Technicians. Bill Jacobs VW is a name you can trust! The Cars will bring you in...the EXPERIENCE will bring you back! Please call, or email to schedule a test drive today! ***1 OWNER, LOCALLY OWNED, AND TRADED IN HERE AT BILL JACOBS VW!!***. 2016 Volkswagen Jetta 1.4T S I4 6-Speed Automatic with Tiptronic 28/39 City/Highway MPG Odometer is 11579 miles below market average! At Bill Jacobs VW we place a “high priority on the quality of vehicles” we offer for sale. All of our vehicles have passed a rigorous inspection process by our team of Top-Tier Certified Technicians. 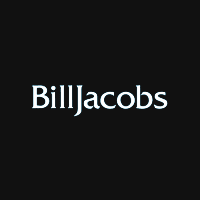 Bill Jacobs VW is a name you can trust! The Cars will bring you in...the EXPERIENCE will bring you back! Please call, or email to schedule a test drive today! Recent Arrival! 2013 Volkswagen Jetta GLI 2.0L TSI DOHC 6-Speed Automatic DSG 24/32 City/Highway MPG Odometer is 7190 miles below market average! At Bill Jacobs VW we place a “high priority on the quality of vehicles” we offer for sale. All of our vehicles have passed a rigorous inspection process by our team of Top-Tier Certified Technicians. Bill Jacobs VW is a name you can trust! The Cars will bring you in...the EXPERIENCE will bring you back! Please call, or email to schedule a test drive today! ***PREMIUM PACKAGE!!***. 2013 Volkswagen Jetta TDI 2.0L TDI Diesel Turbocharged 6-Speed Automatic DSG 30/42 City/Highway MPG Odometer is 36821 miles below market average! At Bill Jacobs VW we place a “high priority on the quality of vehicles” we offer for sale. All of our vehicles have passed a rigorous inspection process by our team of Top-Tier Certified Technicians. Bill Jacobs VW is a name you can trust! The Cars will bring you in...the EXPERIENCE will bring you back! Please call, or email to schedule a test drive today!